Set on 2 acres of tranquil, well-manicured, and mostly indigenous garden, with a stunning swimming pool. Tladi Lodge, a beautifully thatched guest house, is something you wouldn’t expect to find in the middle of Sandton. Thatch is by far the most natural product to use on your roof as it is harvested off the land. With the high thermal properties of thatch there is very little need for any other products to create insulation. Thatch still remains the most natural and eco-friendly roofing solution. If you feel like being active, you can go for a walk or a run in the neighbourhood, or take a dip in the salt chlorinated pool that is kept clean and hygienic with saline salt solution instead of eye-burning chlorine. With stylish bedrooms, luxurious down duvets, high quality linens and fluffy bath robes to snuggle into, there is also a friendly and personal touch from owners Ian and Sylvia, who apart from running a slick and comfortable operation, go that extra mile by providing a little nightcap of sherry in each bedroom for guests to relax and enjoy. Their friendly staff ensure that guests are well taken care of with full breakfast and dinner options available. The old inefficient fireplace has been replaced by a closed system fireplace, also referred to as a slow combustion fireplace, offering one of the most effective, environmentally-friendly ways of heating a home. In the kitchen are four bins to recycle glass, tin, plastic and paper. Energy savings include keeping electricity usage down to a minimum through natural lighting and the use of energy saving light bulbs. Five hot water geysers have been replaced with two heat pumps, with each heat pump only consuming about 30% of the electricity that one geyser would consume. Water and detergents are saved by only replacing towels placed on the floor and eco-friendly detergents are utilized. 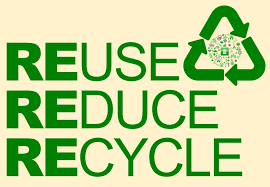 Tladi Lodge are trying to do the right thing by being eco-friendly and decreasing their carbon footprint wherever possible. Stay at a green Guest House during your business trip. Stay at Tladi Lodge – a perfect stop over for the busy business executive, conference delegate or leisure traveller.